Today, we need to talk about this article. It was published on Market Watch, and it’s got all kinds of people buzzing about it. The title of the article was, “This Government Loan Forgiveness Program Has Rejected 99% of Borrowers So Far.” And of course, they’re talking about the public service loan forgiveness program. They say only 96 people are included in the first cohort of borrowers of the public service loan forgiveness program. And apparently, 99% of the processed applications were rejected. Which sounds terrible, right? It sounds like nobody is going to get public service loan forgiveness. Let’s dive into the article and see what is really happening. But before we do that I want to mention the sponsor of this week’s podcast, Bob Bhayani. One of the listener questions I answer in today’s episode is what medical students should be doing to financially prepare for residency. And one of the big things medical students need to do as they enter residency is get disability insurance. Unless you’re already somehow wealthy or you’ve got a spouse or partner that is going to provide for you the rest of your life if you become disabled, you need some disability insurance. So please call Bob today and get that taken care of. I love the quote of the day in this episode. It is so true that patience matters so much in investing. It reminds me of a post I saw on the Bogleheads forum the night before I recorded this podcast in which the poster was a doc who was basically just collecting investments, and admitted that he could not keep his hands from fiddling with his investments. It was amazing, he invested in just about everything you could think of, but just didn’t have the patience for any of it to pan out, as he jumped from investment to investment. He should have taken this advice from Morgan Housel. Remember to go to speakpipe.com/whitecoatinvestor and press record to speak your questions directly on to the WCI podcast. Also, make sure you’ve joined our Facebook group. There’s about 7,600 White Coat Investors there talking about all kinds of financial topics. If it’s covered on the podcast or the blog, they’re talking about it in that group. And it’s a great place to be able to ask questions in a somewhat confidential manner, at least in a private manner in that group, so be sure to join. Also, if you enjoy discussing this stuff with others, there are other formats we have for that as well. We have the White Coat Investor forum and we have a White Coat Investor subreddit for you redditors out there. I really appreciate those who are helping out in all of those places, answering the questions of your peers. There are simply just too many of us for me to answer all the questions. I get to as many as I can, but you know, I really do need some help with that. Thanks for what you do, both in your regular day job, and night job for many of you, as well as spreading this message of financial literacy among our peers. I had one of my colleagues sit down last night, he came down into the ER, sat down and talked to me and said, “Hey, you know what? You’re one of the few people who’s actually made a dramatic change in my life. Thank you very much for that.” And this was based off a conversation about finances we’d had a couple months before, that took five minutes. He’d gone and read the book, and literally him and his wife had changed their entire lives, their entire financial outlook. You cannot overestimate how much just sharing something like a link to the White Coat Investor can do for your peers. So thank you for those who do that. Okay, let’s talk about this article. It turns out 28,000 borrowers submitted 33,300 applications to have their loans discharged. So that tells you right there, there’s a lot of people submitting applications that clearly weren’t correct, if they had to submit them more than once. They say of those 29,000 applications processed, 96 borrowers have had about $5.52 million in debt discharged under the program. So 96 people have had their student loans forgiven, which is great. Obviously that’s a very small percentage, but there’s still people getting their loans forgiven. Experts expect the number of approved applications to rise dramatically in the coming years. When the program launched in 2007, there was little publicity or clarity around it. What’s more, many of the repayment programs that borrowers can use if they want to qualify for the program weren’t yet available then. I think the first time I really heard people talking about it must have been around 2011, about the year I started the White Coat Investor. I think I published an article on it in 2011, but I couldn’t believe how difficult it was to get information about it at that time. I can recall doing a lot of research and trying to figure out exactly how it worked. Since then, people have been talking about it a lot, but back in those first four or five years that this program existed, people just didn’t know about it. So I don’t expect a lot of people, honestly, to get much forgiveness for the next couple of years. The article goes on to say that the high rate of rejections highlights the challenges of the program. Many who watch public service loans forgiveness closely have been concerned for years that its complicated mix of requirements would make it difficult for borrowers to access. There’s also likely a large cohort of borrowers who believe they’d be able to claim forgiveness under the program, and perhaps organize their careers and financial lives around it, but weren’t aware of or were confused by its many requirements, rendering them ineligible. Then the article gets into the statistics. More than 70% of the borrowers whose applications were denied didn’t meet at least one of the eligibility requirements for the program. If you don’t meet the requirements, you’re not going to get forgiveness! That seems pretty obvious to me. To qualify for a loan discharge under public service loan forgiveness, the borrower must have direct loans, be in the correct repayment program, and work in the correct type of job. Okay, there is three requirements. It doesn’t seem that complicated. But apparently it is, 99% of the applications are being rejected. Borrowers also need to make at least 120 on-time monthly payments, or ten years’ worth, on their student loans to be eligible to have them forgiven. Then the article goes on to say, there are a number of reasons why a borrower’s correct type of loan, job, and repayment plan might have a payment not qualify. For example, when borrowers put more than their required monthly payment towards their loan, typically the due date for the following payment is more than a month later, then when they overpaid, this is known as paid ahead status. Any payments borrowers make while they’re paid ahead don’t qualify for public service loan forgiveness. If you are going for public service loan forgiveness, you don’t want to be paying extra on your loans! You don’t want to be paying ahead, you don’t want to be sending in extra principal. The idea is to get as much forgiven as you can. So don’t be an idiot when you’re working in the public service loan forgiveness program. It’s obvious that a huge number of people that couldn’t meet the requirements did not understand that they weren’t meeting the requirements. The complexities in the program’s design means that there are going to be a lot of people who think they’re eligible for public service loan forgiveness and they’re not. In addition to the more than 70% of applications rejected because borrowers were ineligible, another 28% of the applications for forgiveness were rejected because they were incomplete. You have to fill out the whole application! 70% didn’t qualify, 28% didn’t fill out the application. That leaves what, 2%? And apparently some of them didn’t get their forgiveness, because only 1% got it forgiven. The headline sounds terrible, like no one’s going to get public service loan forgiveness. When you dive into it, of those who filled out the application and those who actually went through the trouble to qualify for it, a large percentage of those actually got forgiveness. It’s concerning to me that there is a percentage of those, apparently, based on these statistics, that didn’t get forgiveness. Obviously if you fill out the whole application and you qualify, you ought to get forgiveness. So maybe there is something else to look into there, but certainly it is not an issue that 99% aren’t getting it. Here are the requirements of public service loan forgiveness. You have to make 120 monthly payments while in the program. In the program means you’re enrolled in one of the government payback programs. That can be IBR, income based repayment, PAYE, which is Pay As You Earn, REPAYE, which is Revised Pay As You Earn, or the standard ten-year payment plan. Payments made in any of those programs count. There have to be 120 of them, you can’t make more than once a month but they don’t have to be consecutive. The loans have to be direct loans. The government has made all kinds of loans in the past, but they have be either direct loans or you need to have consolidated them into direct loans. Not just because it came from a government agency is it necessarily forgivable under the public service loan forgiveness program. You have to be working in public service. You have to be employed by a 501(c)3, by the VA, by the military, by a government agency, etc. It has to be a direct employment relationship. They can’t just contract with you. You can’t be a 1099 doc working in a non-profit hospital, that doesn’t count. You also have to apply for the program. There is an application you do each year where you certify that you are actually working for a non-profit. You can fill it out retroactively for work you did five years ago, you just have to get somebody to sign off there that you were working full time and you were employed by a non-profit. Those are the basic requirements. If you’re going for public service loan forgiveness, you need to become an expert in public service loan forgiveness. You need to know exactly how the program works, where you stand. You ought to check in each year with them, make sure all your payments are counting toward it, etc. Now bear in mind, if you don’t make a bunch of tiny payments during your training, during your residency, during your fellowship, unless you have a monstrously huge loan at a relatively low income, chances are there is going to be nothing left to forgive after ten years. For most attending physicians that don’t make low qualifying payments in one of the income-driven repayment programs during residency, there is just not going to be anything left to forgive after ten years. So the key is to get enrolled and start making those payments as soon as you can during your training. We had a few questions from listeners and readers I wanted to answer. What should medical students do to prepare for residency financially? I feel like when you’re leaving medical school and going to residency, you’re just kind of holding on, just hanging on by your fingernails trying to get to the point where you can actually start getting paid. That is the main thing – just don’t go broke. Try to keep something in the bank account to cover any unforeseen emergencies. A lot of people end up borrowing a little bit of extra money their fourth year to pay for their interviews, to pay for their applications, to pay for the move, etc.. They take out a personal loan or they take out a little bit more in their student loans to cover that gap. So one of the priorities, depending on what you borrowed to cover that gap, is to pay that off. Especially if it’s on a high interest credit card. That has to be a priority early on. That said, I’m not sure I would live like a monk in that month or two between medical school graduation and the start of your internship. That is probably one of the last opportunities you’ll have for some time off for a long time. You’re going to work really hard in residency, so enjoy that time. Even if you do a little bit of paid work be sure you take at least a vacation before you start your internship. And realize that a lot of residency is also about holding on. The year that really matters in your financial life is your first year as an attending. If you show me what somebody did with their first 12 paychecks out of residency, I can predict their financial life pretty well from there. So a lot of residency is just preparing for those first few years out of your training and what you’re going to do with those first big paychecks that you get. Term Life Insurance, if there is anyone else besides you depending on your income. Managing your student loans correctly. That may mean enrolling in REPAYE, that’s probably the best default answer for most residents, enroll in REPAYE, and refinancing your private loans. There is no sense in waiting to refinance your private loans, those are not going to qualify for the income-driven repayment programs nor are those going to qualify for public service loan forgiveness. Refinance them and get a lower rate. The companies that do refinancing for residents actually offer low payment plans during residency, anywhere from $0 to $100 a month. So there’s no reason not to refinance those private loans. 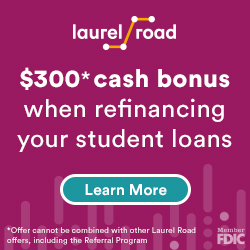 Some people might want to refinance their direct loans, if they know for sure they’re not going for public service loan forgiveness and they can refinance to a lower rate than they can get through the Revised Pay As You Earn program. Remember, that’s the program where the government subsidizes your interest rate, at least up to a certain income. Get in the habit of saving some money. The best types of accounts to use during residency are Roth accounts, tax free accounts. Just because you’re in a lower tax bracket now than you will be during your peak earnings years, and maybe even during your retirement. So if you have an option, a Roth 401(k), a Roth 403(b), and everybody has got the option of a Roth IRA, take advantage of that. If your employer is offering you a match make sure you put at least enough into that plan to get the match. Not doing that is like leaving part of your salary on the table. How do you initiate the termination process with your whole life insurance company? Should you use your sales person, who obviously has a massive vested interest and will do a lot to convince you otherwise, or do you just deal directly with the customer service group? Do you need to tell the insurance group that you want to do a 1035 exchange, or do you just initiate that on your own? This question came in from an options trader in Chicago making half a million dollars a year. I find it flattering that an options trader, someone who clearly works in the financial services, is reading my stuff. He hired a salesman masquerading as a financial advisor who sold who a whole life policy and now he wants to get rid of it. The decision to get rid of a whole life policy is not the same as the decision to buy one in the first place. Sometimes a policy that made no sense to buy, because you’ve had it for so many years, can now make sense to keep. And the reason for that is because the poor returns of whole life insurance are heavily front loaded. The first thing to do is to get an in force illustration. And you can get that directly through the company or through your agent. Either one is okay. If you don’t want to deal with the agent, because you feel like he hosed you, go directly to the company and they’ll give it to you. And then calculate what your return will be going forward. Use their guaranteed scale and use their projected scale, and your return will probably be somewhere between those two. But see if that’s acceptable to you. If it’s a 5 or 6% return going forward from that point, even though you had a crummy negative return the last ten years, it might be worth keeping for you. If the return doesn’t look so good, or you have a better use for your money, like paying off student loans or maxing out retirement accounts you may still want to get rid of it. If you are getting rid of it, you’ve got a couple of options. One of which is to just cash it out. Say, “Send me my money, I’m done.” Obviously if you have life insurance needs, make sure you have a term life insurance policy in place that’s going to cover that first. Then you can just take the money and run. However, if you have a big loss on that insurance policy, meaning all the money you’ve paid toward premiums minus the cash value is a large amount, you may want to try to preserve that loss. You can’t deduct a loss on whole life insurance on your taxes, so the way you preserve it is you exchange it. That’s called a 1035 exchange. You exchange it into an annuity, like a low cost variable annuity you can buy at Vanguard. And then you invest the money, and as it grows back up to your basis, meaning the amount you paid in premiums over all those years, then you can cash it out once the value equals the basis, and walk away with no consequences on the growth of the account from the time you made the exchange until the time you surrendered the annuity. If you’ve had it long enough that you actually have a gain on your whole life insurance policy, you probably ought to double check and make sure you don’t want to keep that thing. There’s a decent chance that going forward, your returns might be acceptable to you. They may be bond-like returns, like the bond portion of your portfolio, and it may be worth holding onto the thing as an investment. You just have to look at your cash flow needs and other opportunities available to you. I contributed $13,000 per year for a child that has grown to $117,000. I had designated myself as a beneficiary, now I want to transfer the beneficiary to my two-year old. Does it trigger gift tax, or does the five year rule apply? This is someone that was doing very well and decided to start funding a 529 account years before any children were born. You can change the beneficiary of your 529 account any time you’d like. But in general, the goal is to change it to somebody in the same generation. Change it from an older brother to a younger sister, change it from one cousin to another, etc. The issue, when you change it from yourself to your child is, you’re changing a generation. And when you’re doing that, the gift tax laws apply. Now, there’s no actual gift tax. When you give a gift that’s over the $15,000 that you’re allowed to give, there’s no tax that’s due. What it does is it reduces the exemption on your estate tax. Right now, the exemption is 11-something million dollars for single people, and 22-something million dollars for married couples. So if you’re never going to have an estate anywhere near that, and especially considering that those amounts are indexed to inflation, it’s not that big a deal. You just have to fill out some gift tax paperwork. There’s not actually anything due. But in this situation, there’s already $117,000 in the account, so it sounds like if this doc wants to change the beneficiary all at once, that’s going to invoke the gift tax law and reduce his exemption. I hope you enjoyed this episode and if you had similar questions to these readers that the answers were helpful. Don’t stress about this news on PSLF. Just make sure you are following the requirements for the program. If you have other questions you can get a quicker answer at the White Coat Investor forum . This is the White Coat Investor podcast, where we help those who wear the white coat get a fair shake on Wall Street. We’ve been helping doctors and other high-income professionals stop doing dumb things with their money since 2011. Here’s your host, Dr. Jim Dahle. Welcome to White Coat Investor podcast number 74, Public Service Loan Forgiveness. This episode is sponsored by Bob Bhayani at drdisabilityquotes.com. They’re a truly independent provider of disability insurance planning solutions to the medical community nationwide. Bob specializes in working with residents and fellows early in their careers to set up sound financial and insurance strategies. Contact Bob today by e-mail at [email protected] or by calling (973)771-9100. Our quote of the day today comes from Morgan Housel, who said, “There are books on economic cycles, trading strategies, and sector bets. But the most powerful and important book should be called ‘Shut Up and Wait.’ It’s just one page with a long-term chart of economic growth.” I love that one, it’s so true that patience matters so much in investing. It reminds me of a post I saw on the Bogleheads board the night before I recorded this podcast in which the poster was a doc who was basically just collecting investments, and admitted that he could not keep his hands from fiddling with his investments. So it was amazing, he invested in just about everything you could think of, but just didn’t have the patience for any of it to pan out, as he jumped from investment to investment. At any rate, we got a few new things going on around here at the White Coat Investor, one of which, you can record questions for us to use on the podcast. Go to www.speakpipe.com/whitecoatinvestor. That’s speak pipe, like speaking and like a pipe that holds water. Also, make sure you’ve joined our Facebook group. There’s about 7,000 White Coat Investors there talking about all kinds of financial topics. If it’s covered on the podcast or the blog, they’re talking about it in that group. And it’s a great place to be able to ask questions in a somewhat confidential manner, at least in a private manner in that group, so be sure to join. Also, if you enjoy discussing this stuff with others, there are other formats we have for that as well. We have the White Coat Investor forum, right on whitecoatinvestor.com, and we have a White Coat Investor subreddit for you redditors out there. I appreciate those who are helping out in all of those places, answering the questions of your peers. There are simply just too many of us for me to answer all the questions. I get to as many as I can, but you know, I really do need some help with that. Thanks for what you do, both in your regular day job, and night job for many of you, as well as spreading this message of financial literacy among our peers. I had one of my colleagues sit down last night, he came down into the ER, sat down and talked to me and said, “Hey, you know what? You’re one of the few people in my life who’s actually made a dramatic change in my life. Thank you very much for that.” And this was based off a conversation we’d had a couple months before that took five minutes about finances. He’d gone and he’d read the book, and literally him and his wife had changed their entire lives, their entire financial outlook. You cannot overestimate how much just sharing something like a link to the White Coat Investor can do for your peers. So thank you for those who do that. All right. Today, we need to talk about this article. It was published on Market Watch, and it’s got all kinds of people buzzing about it. The title of the article was, “This Government Loan Forgiveness Program Has Rejected 99% of Borrowers So Far.” And of course, they’re talking about the public service loan forgiveness program. They say only 96 people are included in the first cohort of borrowers of the public service loan forgiveness program. And apparently, 99% of the processed applications were rejected. Which sounds terrible, right? It sounds like nobody’s going to get public service loan forgiveness. But as you dive into the article, you can read a little bit more. It turns out 28,000 borrowers submitted 33,300 applications to have their loans discharged. So that tells you right there, there’s a lot of people submitting applications that clearly weren’t correct, if they had to submit them more than once. They say of those 29,000 applications processed, 96 borrowers have had about $5.52 million in debt discharged under the program. So 96 people have had their student loans forgiven, which is great. Obviously that’s a very small percentage, but there’s still people getting their loans forgiven. The article goes on, experts expect the number of approved applications to rise dramatically in the coming years. When the program launched in 2007, there was little publicity or clarity around it. What’s more, many of the repayment programs that borrowers can use if they want to qualify for the program weren’t yet available then. That’s the truth. I mean, I think the first time I really heard people talking about it must have been around 2011, about the year I started the White Coat Investor. I think I published an article on it in 2011, but I couldn’t believe how difficult it was to get information about it at that time. I can recall doing a lot of research and trying to figure out exactly how it worked. The article goes on, the high rate of rejections highlights the challenges of the program. Many who watch public service loans forgiveness closely have been concerned for years that its complicated mix of requirements would make it difficult for borrowers to access. There’s also likely a large cohort of borrowers who believe they’d be able to claim forgiveness under the program, and perhaps organize their careers and financial lives around it, but weren’t aware of or were confused by its many requirements, rendering them ineligible. Then it gets into the statistics. More than 70% of the borrowers whose applications were denied didn’t meet at least one of the eligibility requirements for the program. Okay, well, if you don’t meet the requirements, you’re not going to get forgiveness. That seems pretty obvious to me. To qualify for a loan discharge under public service loan forgiveness, the borrower must have direct loans, be in the correct repayment program, and work in the correct type of job. Okay, there’s three requirements there, it doesn’t seem that complicated to me. But apparently it is, 99% of the applications are being rejected. Borrowers also need to make at least 120 on-time monthly payments, or ten years’ worth, on their student loans to be eligible to have them forgiven. Then it goes on to say, there are a number of reasons why a borrower’s correct type of loan, job, and repayment plan might have a payment not qualify. For example, when borrowers put more than their required monthly payment towards their loan, typically the due date for the following payment is more than a month later, then when they overpaid, this is known as paid ahead status. Any payments borrowers make while they’re paid ahead don’t qualify for public service loan forgiveness. Okay, if you’re going for public service loan forgiveness, you don’t want to be paying extra on your loans. You don’t want to be paying ahead, you don’t want to be sending in extra principal. The idea is to get as much forgiven as you can. So don’t be an idiot when you’re working in the public service loan forgiveness program. It’s obvious that a huge number of people that couldn’t meet the requirements did not understand that they weren’t meeting the requirements. The complexities in the program’s design means that there are going to be a lot of people who think they’re eligible for public service loan forgiveness and they’re not. Okay, so in addition to the more than 70% of applications rejected because borrowers were ineligible, another 28% of the applications for forgiveness were rejected because they were incomplete. Okay, you gotta fill out the whole application. 70% didn’t qualify, 28% didn’t fill out the application. That leaves what, 2%? And apparently some of them didn’t get their forgiveness, because only 1% got it forgiven. But you know, I mean, some of this is just a no-brainer, right? The headline sounds terrible, like no one’s going to get public service loan forgiveness. When you dive into it, of those who filled out the application and those who actually went through the trouble to actually qualify for it, a large percentage of those actually got forgiveness. It’s concerning to me that there is a percentage of those, apparently, based on these statistics, that didn’t get forgiveness. Obviously if you fill out the whole application and you qualify, you ought to get forgiveness. So you know, maybe there’s something else to look into there, but certainly it’s not an issue that 99% aren’t getting it. All right, so let’s talk for a minute about the requirements of public service loan forgiveness. The requirements, number one, are you have to make 120 monthly payments while in the program. In the program means you’re enrolled in one of the government payback programs. That can be IBR, income based repayment, PAYE, which is Pay As You Earn, REPAYE, which is Revised Pay As You Earn, or the standard ten-year payment plan. Payments made in any of those programs count. There have to be 120 of them, you can’t make more than once a month, they don’t have to be consecutive. Number two, the loans have to be direct loans. The government’s made all kinds of loans in the past, but they gotta be either direct loans or you need to have consolidated them into direct loans. Not just because it came from a government agency is it necessarily forgivable under the public service loan forgiveness program. You also have to actually apply for the program. There’s an application you do each year where you certify that you are actually working for a non-profit. Remember, that’s the other requirement for the public service loan forgiveness program. You have to actually be working in public service. You have to be employed by a 501(c)3, by the VA, by the military, by a government agency, et cetera. It’s got to be a direct employment relationship. They can’t just contract with you. You can’t be a 1099 doc working in a non-profit hospital, that doesn’t count. But you fill that out each year, it doesn’t even have to be filled out each year, you can fill it out retroactively for work you did five years ago, you just have to get somebody to sign off there that you were working full time and you were employed by a non-profit. Those are the basic requirements, and they’re not that hard to do. So if you’re going for public service loan forgiveness, you need to become an expert in public service loan forgiveness. You need to know exactly how the program works, where you stand. You ought to check in each year with them, make sure all your payments are counting toward it, et cetera. Now bear in mind, if you don’t make a bunch of tiny payments during your training, during your residency, during your fellowship, unless you have a monstrously huge loan at a relatively low income, chances are there’s going to be nothing left to forgive after ten years. For most attending physicians that don’t make low qualifying payments in one of the income-driven repayment programs during residency, there’s just not going to be anything left to forgive after ten years. So the key is to get enrolled and start making those payments as soon as you can during your training. Talk about some questions that you guys have sent in. I sent out a notice before starting this podcast, on Twitter and Facebook asking for questions. We’ll see if any of those roll in as we do this recording. The first one that came in was from Tyson on Twitter, who said, “I’d love to hear more about what medical students should do to prepare for residency financially.” You know, I feel like when you’re leaving medical school and going to residency, you’re just kind of holding on, just hanging on by your fingernails trying to get to the point where you can actually start getting paid. I mean, I guess that’s the main thing is, just don’t go broke. Try to keep something in the bank account to cover any unforeseen emergencies. A lot of people end up borrowing a little bit of extra money their fourth year to pay for their interviews, to pay for their applications, to pay for the move, et cetera. They take out a personal loan or they take out a little bit more in their student loans or whatever, to cover that gap. So one of the priorities is, depending on what you borrowed to cover that gap, might be paying that off. Especially if it’s on some high interest credit card, that’s got to be a priority early on. That said, I’m not sure I would live like a monk in that month or two between medical school graduation and the start of your internship. I mean, that is probably one of the last opportunities you’ll have to have some time off for a long time. You’re going to work really hard in residency, so spend some time enjoying that time, even if you do a little bit of paid work or something, be sure you take at least a vacation before you start your internship. And realize that a lot of residency is also about holding on. I mean, the year that really matters in your financial life is your first year as an attending. If you show me what somebody did with their first 12 paychecks out of residency, I can predict their financial life pretty well from there. So a lot of residency, even, is just preparing for those first few years out of your training and what you’re going to do with those first big paychecks that you get. But there are a few priorities in residency, one of which is to get any needed insurance. 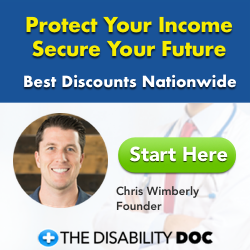 Particularly disability insurance, unless you’re already somehow wealthy or you’ve got a spouse or partner that’s going to provide for you the rest of your life if you become disabled, you need some disability insurance. If there’s anybody else besides you depending on your income, spouse or children, you need to have term life insurance in place as well. So those should be big priorities as you move into your intern year. Other things that are worthwhile doing is making sure you’re managing your student loans correctly. That may mean enrolling in REPAYE, that’s probably the best default answer for most residents, is to enroll in REPAYE, and refinancing your private loans. There’s no sense in waiting to refinance your private loans, those aren’t going to qualify for the income-driven repayment programs, those aren’t going to qualify for public service loan forgiveness. You might as well refinance them and get a lower rate on it. The companies that do refinancing for residents actually offer low payment plans during residency, anywhere from $0 to $100 a month. So there’s no reason not to refinance those private loans. Some people might want to refinance their public loans as well, their direct loans, if they know for sure they’re not going for public service loan forgiveness and they can refinance to a lower rate than they can get through the Revised Pay As You Earn program. Remember, that’s the program where the government subsidizes your interest rate, at least up to a certain income. What else should you do during residency? Well, it’s a good idea to get in the habit of saving some money. The best types of accounts to use during residency are Roth accounts, tax free accounts. Just because you’re in a lower tax bracket now than you will be during your peak earnings years, and maybe even during your retirement. So if you have an option, a Roth 401(k), a Roth 403(b), and everybody’s got the option of a Roth IRA, take advantage of that. If your employer is offering you a match, you know, go read your 401(k) or 403(b) plan document, find out if they’re giving you a match. Make sure you put at least enough into that plan to get the match. Not doing that is like leaving part of your salary on the table. Those are really the priorities for residents, and as a medical student becomes a resident, those are the priorities. I think one of the things to really be thinking about at that time is this whole rent versus buy decision. A lot of residents want to buy a house. There’s this crazy burning desire, “must own a house as a resident.” And the truth is, there’s probably no other time in your life when you’re less prepared and less able to deal with the hassles and costs of home ownership than as you start a residency. I think the default position ought to be renting during residency. I’ve gotten lots of e-mails the last few years as the housing market has boomed that, “We should have bought a house, we should have bought a house.” Well, you can’t predict the future. And yes, if housing values are going to go up 20% a year every year while you’re in them, then obviously you’re going to come out better off buying. But I would guess that for a three year residency, on average, you’re going to come out ahead buying about a third of the time. Maybe half the time for a five year residency. And that just doesn’t seem like high enough odds to me to be taking the risk and deal with the hassle of home ownership. I think you’re going to be fine waiting until you’re an attending, in a stable social and professional situation, to buy a home. Well, let’s talk a little bit about terminating a whole life policy. First of all, the decision to get rid of a whole life policy is not the same as the decision to buy one in the first place. Sometimes a policy that made no sense to buy, because you’ve had it for so many years, can now make sense to keep. And the reason for that is because the poor returns of whole life insurance are heavily front loaded. Mainly because of the cost of the insurance company, particularly the commission they have to pay to the agent. It just costs them a lot of money to sell these things, because people wouldn’t buy them if there weren’t these high pressure sales agents out there selling them. So the more years you’ve had the policy, the more years that commission is spread out over, and the less of an effect it has on your return. So the first thing you want to do, if you’re wondering if you should really have this whole life insurance policy is consider the reasons you bought it. I mean, sometimes you bought it for a good reason. And a lot of times it was just sold to you. If you’re one of those that it was just sold to, the first thing to do is to get an in force illustration. And you can get that directly through the company, you can get it through your agent. Either one’s okay. If you don’t want to deal with the agent, because you feel like he hosed you, go directly to the company and they’ll give it to you. And then calculate what your return will be going forward. Use their guaranteed scale and use their projected scale, and your return will probably be somewhere between those two. But see if that’s acceptable to you. If it’s a 5 or 6% return going forward from that point, even though you had a crummy negative return the last ten years, it might be worth keeping for you. If the return doesn’t look so good, or you have a better use for your money, like paying off student loans or maxing out retirement accounts or something, you may still want to get rid of it. If you are getting rid of it, you’ve got a couple of options. One of which is to just cash it out. To say, “Send me my money, I’m done.” Obviously if you have life insurance needs, make sure you have a term life insurance policy in place that’s going to cover those first. Then you can just take the money and run. However, if you have a big loss on that insurance policy, meaning all the money you’ve paid toward premiums minus the cash value is a large amount, you may want to try to preserve that loss. You can’t deduct a loss on whole life insurance on your taxes, so the way you preserve it is you exchange it. That’s called a 1035 exchange. You exchange it into an annuity, like a low cost variable annuity you can buy at Vanguard. And then you invest the money, and as it grows back up to your basis, meaning the amount you paid in premiums over all those years, then you can cash it out once the value equals the basis, and walk away with no consequences on the growth of the account from the time you made the exchange until the time you surrendered the annuity. And so some people think that’s worth it. If you’ve got a $30,000 or $50,000 or $200,000 loss, it may be worthwhile to be able to take $200,000 in gains without having to pay taxes on it. So a lot of people consider doing that. If it’s only $1,000 loss, or it’s just not an amount that you want to deal with that sort of hassle, that’s fine. Just cash it out and take the money. If you’ve had it long enough that you actually have a gain on your whole life insurance policy, you probably ought to double check and make sure you don’t want to keep that thing. There’s a decent chance that going forward, your returns might be acceptable to you. They may be bond-like returns, like the bond portion of your portfolio, and it may be worth holding onto the thing as an investment. You just have to look at your cash flow needs and whether the opportunities are available to you. Next question. “I contributed $13,000 per year for a child that has grown to $117,000. I had designated myself as a beneficiary, now I want to transfer the beneficiary to my two-year old. Does it trigger gift tax, or does the five year rule apply?” Okay, this is someone that was doing very well, apparently, and decided to start funding a 529 account five, six, seven years before any children were even born. That seems a little enthusiastic to me, but apparently that’s what this doc has done. You can do this, you can change the beneficiary of your 529 account any time you’d like. But in general, the goal is to change it to somebody in the same generation. Change it from an older brother to a younger sister, change it from one cousin to another, et cetera. The issue, when you change it from yourself to your child is, you’re changing a generation. And when you’re doing that, the gift tax laws apply. Now, there’s no actual gift tax. When you give a gift that’s over the $15,000 that you’re allowed to give, there’s no tax that’s due. What it does is it reduces the exemption on your estate tax. Right now, the exemption is 11-something million dollars for single people, and 22-something million dollars for married couples. So if you’re never going to have an estate anywhere near that, and especially considering that those amounts are indexed to inflation, it’s not that big a deal. You just have to fill out some gift tax paperwork. There’s not actually anything due. But it’s nice to preserve that if you can, and to work around it when you can, and you can usually do that because you’re allowed to give $15,000 to anybody you like at any time. For example, if you and your spouse are giving it to your child and your child’s spouse, each of you can give $15,000 to each spouse. So you can transfer $60,000 a year without having to do any gift tax paperwork. But in this situation, there’s already $117,000 in the account, so it sounds like if this doc wants to change the beneficiary all at once, that’s going to invoke the gift tax law and reduce his exemption. This episode was sponsored by Bob Bhayani at drdisabilityquotes.com. They’re a truly independent provider of disability insurance planning solutions to the medical community nationwide. Bob specializes in working with residents and fellows early in their careers to set up sound financial and insurance strategies. Contact Bob today by e-mail at [email protected] or by calling (973)771-9100. Be sure to check out the Facebook group, the subreddit, and the White Coat Investor forum. Head up, shoulders back, you’ve got this. We here at the White Coat Investor can help, we’ll see you next time on the podcast. My dad, your host, Dr. Dahle, is a practicing emergency physician, blogger, author, and podcaster. He is not a licensed accountant, attorney, or financial advisor. So this podcast is for your entertainment and information only. It should not be considered official personalized financial advice. Can You Keep the RePAYE Interest Subsidy if You Prepay Your Loan? Figured you would have something to say about the pslf article. Also figured the explanation was general people not following the instructions. I didn’t wind up going for it, thought I’d only be in the Army 7 years instead of 11+ and didn’t want to feel like my hands were tied in terms of jobs afterwards. I had been paying ahead anyway before I even made that decision and didn’t realize it was a problem for pslf. So I suppose all’s well that ends well, I’d rather have had my loans gone six months after finishing fellowship rather than getting to the pslf point and finding out I’d messed it up. I have a question regarding this and am looking for suggestions. It does not apply to me as of yet, but likely will when I transition to a GS job. When you work for a company whom is willing to pay lets say 30K on your loans yearly (but only as one time sums) is there anyway to have that happen and have it not discredit you making monthly payments that count as well? A lot of GS doc positions will hire with student loan forgiveness as part of the incentive. Not enough to cover it all but I would still like to get it just incase. Well, the first thing I’d do is direct that $30K toward any private loans you may have. If those were gone and I was going for PSLF, I’d try to negotiate that the employer pay me the $30K to use however I want. If that still wasn’t possible, then I’d just put them toward the loans, but designated toward principle so I wasn’t paid ahead. I know. The casual dismissal of all the people who didn’t qualify as “well they didn’t know the rules what bozos!” rubbed me the wrong way. Sorry James but you are way off the mark here. I’m still going through this process- it’s been about 8 months so far and nothing but frustration. They have screwed up literally every aspect of this process. Lost and missing forms which are verified as received and still visible as uploaded. Forms processed out of order so they have to be resubmitted causing automatic denials due to incorrect information, resulting in a requirement to start over. Things “in review” for months. Differing explanations of what needs to be done. Incorrect and conflicting information form different agents/officers. Recalculating my payment plan (automatically “by the system” as part of the transfer process without asking me first) cutting the payment in half, which makes me ineligible for the progam when they reconsider undser TPSLF. Screwing up my direct debit- raising my interest rate, and having me resubmit the same forms to fix their errors (I just downloaded it from their site after denial and resubmitted it!) Putting me in paid-ahead status despite multiple requests to NOT be paid-ahead- which of course make my payments ineligible for consideration. I’ve made over 10 years of payments I’ve had 2 employers, both public institutions which clearly qualify under the rules. I’m in a graduated repayment plan, which doesn’t qualify because PSLF did not exist until 2007. So I am applying under the TPSLF expansion, for which I am in an eligible payment program. The amounts they autocalculated will make an automated denial and they are unalbe to tell me how much I have to pay above and beyond for the next 10 months to be eligible. (I graduated in 2001 and consolidated through residency under old rules- 3.8% blended rate, deferred through training. Over $250k in Federal Loans, $80k in institutional loans directly from my school which at 7+% were paid off first, and have been gone for several years). As I am writing this comment, I am on the phone with them yet again– over an hour today alone!There’s no way I’m going to get this forgiveness– they’ve made it impossible to achieve. t’s built to fail. So yes- most of the denials were “incorrect information” because they can’t seem to properly process the information they are given when you follow the letter of the program and paperwork. You really don’t think it’ll get sorted out before the lawsuits hit? I’m skeptical. So, I was one of the 99% as my application was rejected. I thought over the last 6 years I was enrolled in the PSLF program after I consolidated with Fed Loan and have been practicing Family Medicine at an academic center since fellowship. Pure ignorance on my part. After getting more financial literate and applying for the PSLF program, my institution was approved but I am not eligible because of my repayment plan. Here is where I would love some clarification. While it is true that if you make 10 years of payments under the standard 10 year repayment plan there will be nothing left to forgive at the end of ten years, my understanding is that payments made under that plan do count toward the 120 required for PSLF. Obviously you’d have to make some of your payments under the other programs in order to receive any real forgiveness. Qualifying repayment plans include all of the income-driven repayment plans (plans that base your monthly payment on your income). Even though the 10-year Standard Repayment Plan is also a qualifying repayment plan for PSLF, you cannot receive PSLF unless you enter an income-driven repayment plan. Here’s why: If you are in repayment on the 10-year Standard Repayment Plan during the entire time you are working toward PSLF, you will have no remaining balance left to forgive after you have made 120 qualifying PSLF payments. Therefore, if you are seeking PSLF and are not already repaying under an income-driven repayment plan, you should change to an income-driven repayment plan as soon as possible. Thank you so much for the reply and information. I think the key is that I am doing a Standard repayment plan but not a 10 year Standard repayment plan. I’m paying about $400 less than under a PAYE or REPAYE but none of my payments count because it’s a Standard repayment plan (due to get paid off in 2042). Once again, an error on my part and devil in the details/language of these things. Ignorance, once discovered and recognized, is a powerful but painful teacher. I’ve learned so much from your book, newsletter and podcasts — hopefully my financial mistakes are fewer and farther between going forward. Ouch. Yes, it’s only the 10 year standard repayment plan. Good writeup — one point of interest— the “Paid Ahead status” or “overpaid” status is actually quite common and potentially dangerous — all it takes is an error in auto debt from a loan servicer and years of payments are hit. As always, I am glad to see you weigh in on this topic. I think a lot about my loans as a first year intern and often feel crushed by the weight of almost half a million in debt that’s just sitting and accruing interest. I am currently following the REPAYE repayment structure, and my tax return shows an income that makes my debt repayment on my first year’s of payments $0. I had a debt expert that my medical school brought in tell me that I can make 12 qualifying $0 payments towards my 120 payments for PSLF. What are your thoughts on that? Do you think they are going to see these payments as such? I’ve been trying to figure out a way to pay $0 and get a form saying so, but so far the myfedloan website won’t accept a $0 payment for loans (even though that’s what it says I owe whenever I open up the website). The question I have is – have I made 0 qualifying payments in this grueling intern year? Or have I gotten close to 12? Yes that’s the way it works. I’d call them up every month and ask them to count them and keep careful records of it all. "You are engaged in a life-and-death struggle with the financial services industry. ... If you act on the assumption that every broker, insurance salesman ... and financial advisor you encounter is a hardened criminal, you will do just fine."